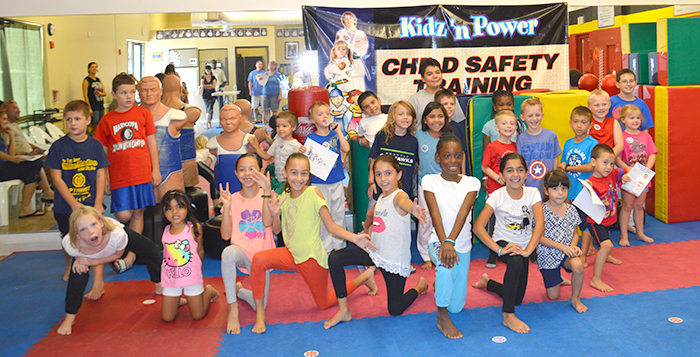 Dozens of local children filled the ATA Martial Arts studio on Honeycutt Road in Maricopa to learn about bullying signs and prevention. 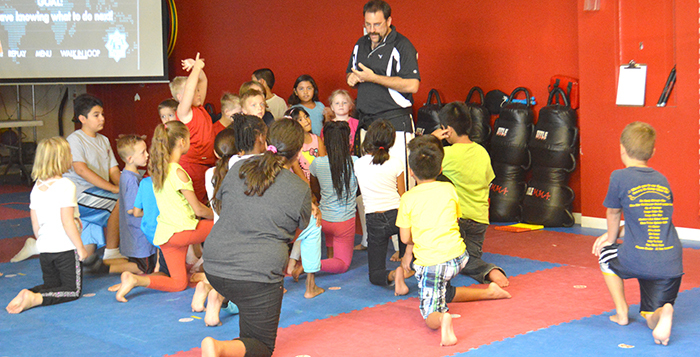 Though the majority of the education came from an ATA video, Master Instructor Lee Feiles also led exercises to ensure the children understood the lesson. The goal of the class was to educate local children on what bullying is, how to stay away from it, what to do if it happens to them, and also how to help other students being bullied. The participants were taught proper ways to breathe when startled, react to a bully attack, and defend fellow students who may not have the ability to defend themselves. They were also shown examples of what bullying is, and how it is often overlooked. The video provided the students with various examples of bullying. Everything from physical attacks to intentionally excluding someone from a group was shown. During each example, the children would shout if the event was bullying or not. The other aspect of the class was learning the proper way to respond to a bully. The participants were taught to keep a safe distance to avoid harm, try to stay in a group or near adults, and walk and speak with confidence so they aren’t an easy target. The students also went through exercises using the tone and volume of their voices. By speaking in a stern, loud tone, attackers could be caught off guard. This can also be effective in helping someone else get away from a bully. The children were reminded to always find an adult in a situation they aren’t comfortable with. Before leaving, students were given wristbands to identify them as “defenders” against bullying.